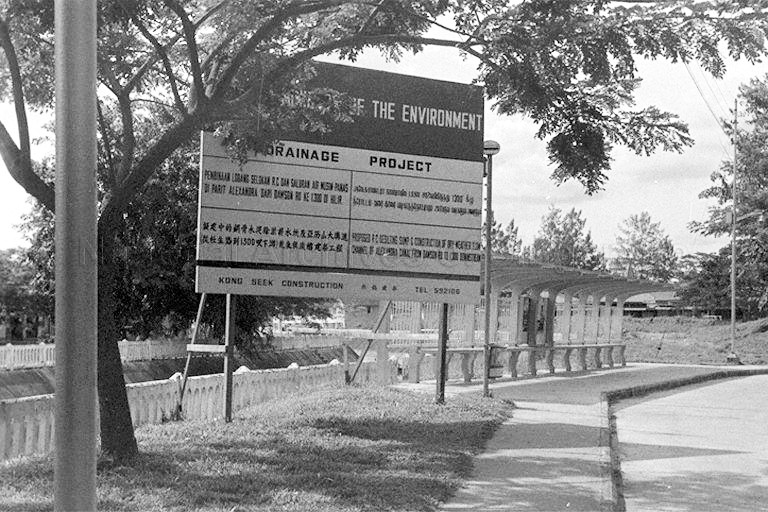 The above photo and a series of selected archived photos curated with courtesy of the National Archives of Singapore to share collective memories of Alexandra Canal on this personal blog. 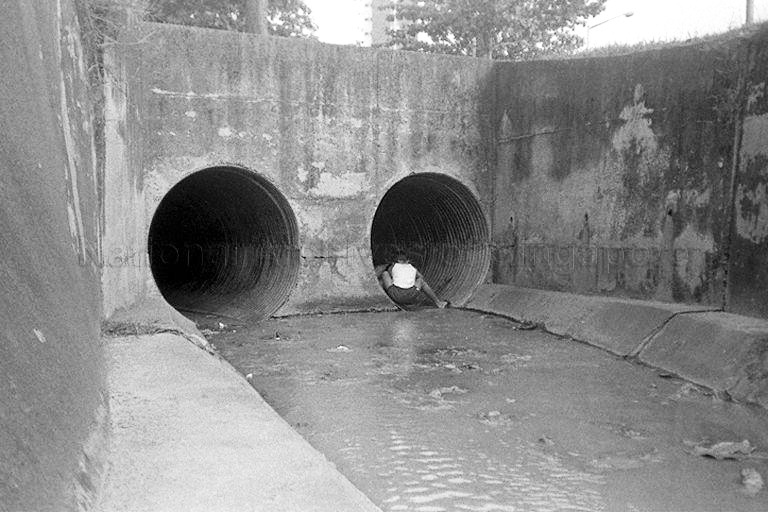 I was like that young boy in the photo, when I was about 6-years-old in 1953 catching small “longkang fishes” in the canal at low tide. 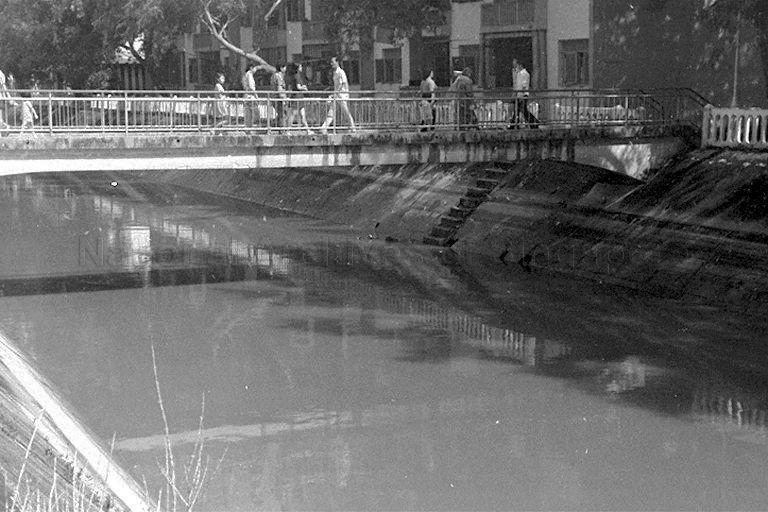 At that time, the canal was not yet developed with concrete lining and the water was muddy with earth and debris on both sides of the canal banks. 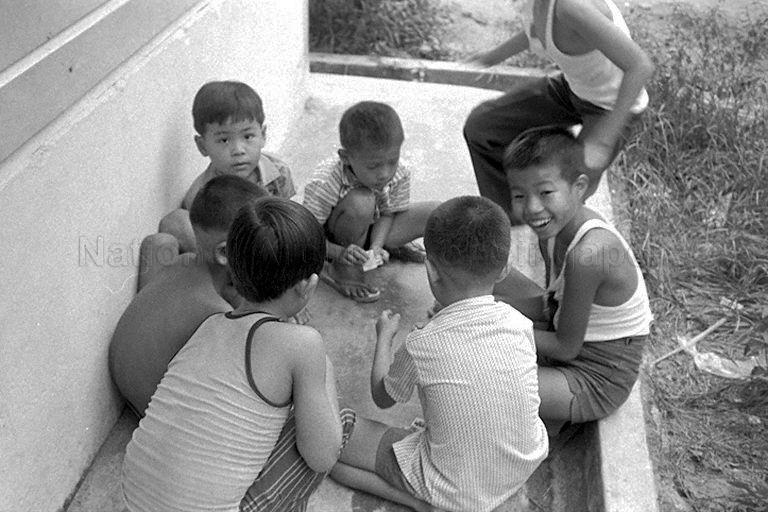 Children living in the kampung often played together in the outdoors. 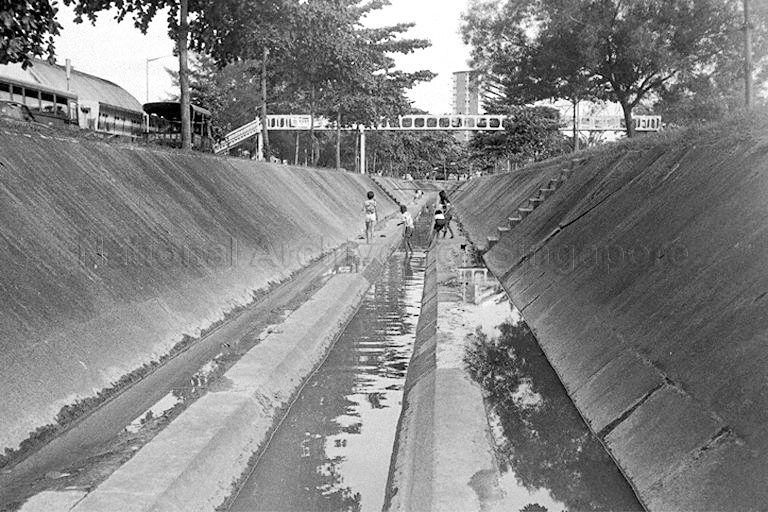 Around the kampung, one could easily find many ‘longkangs’ (a malay word for drains). The fishes were kept in empty bottles to bring home as pets. 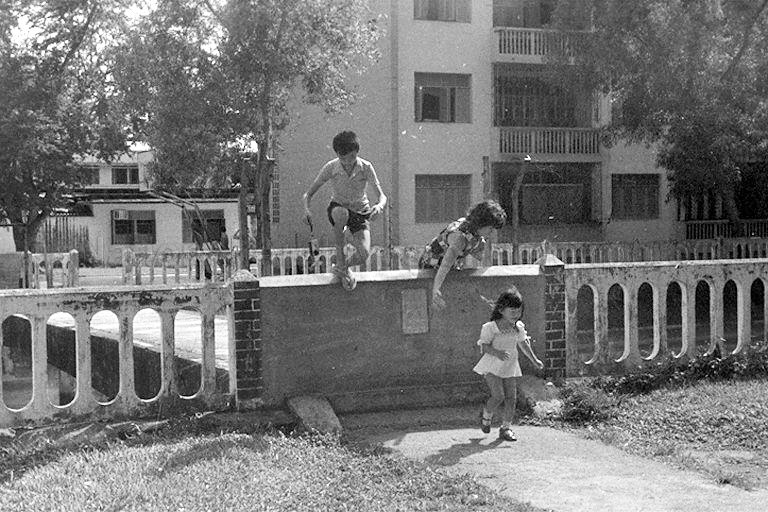 As urchins of Bukit Ho Swee, my neighborhood buddies and I roamed the territories of the kampong as our “playground” during our childhood days, at a time when we did not have nurseries or kindergartens before we attend primary schools. 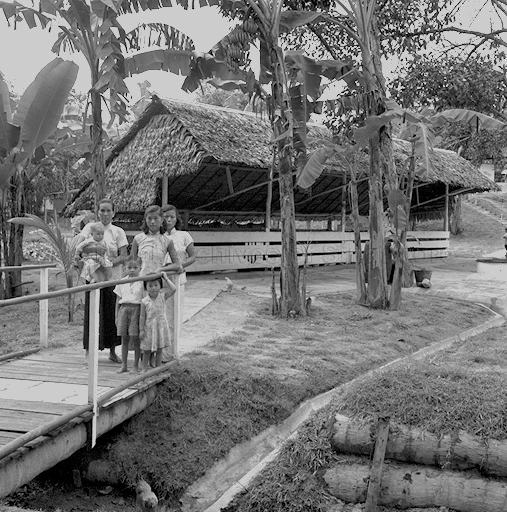 The parents in the kampongs were too busy with their household chores and the kids were left to their own devices. We were having fun to catch small “longkang fishes” with colorful “guppies”, “rainbow” and the common “japanese” and other nickname fishes which were easily available in the drains and canals. 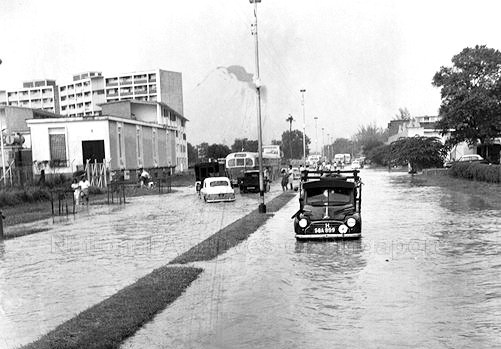 Most major roads in Alexandra Road were flooded during the monsoon seasons in the 1960s. 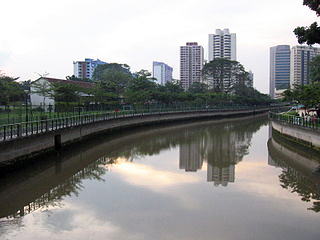 The drainage and waterway links connected to Alexandra canal was overflown after a few hours of continuous heavy rainfall. 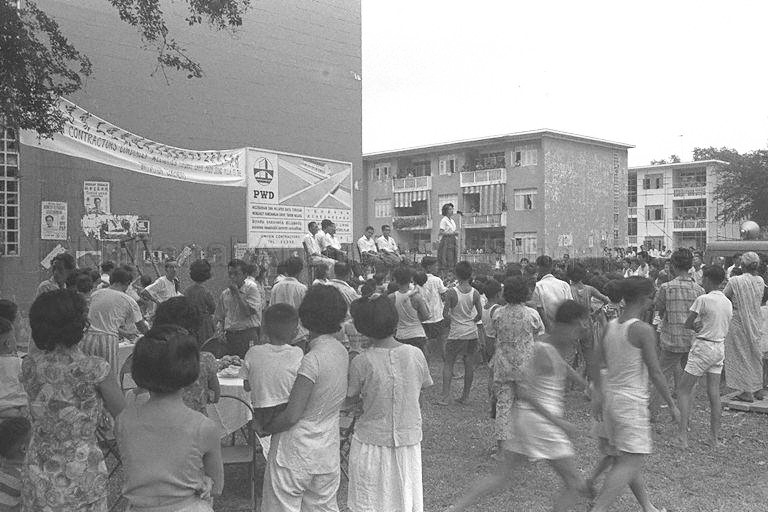 Although Alexandra Road was developed during the colonial days to build residential flats by the Singapore Improvement Trust (SIT), there were still scattered pockets of attap settlements in some areas. SIT flats and shops at Prince Philip Avenue. 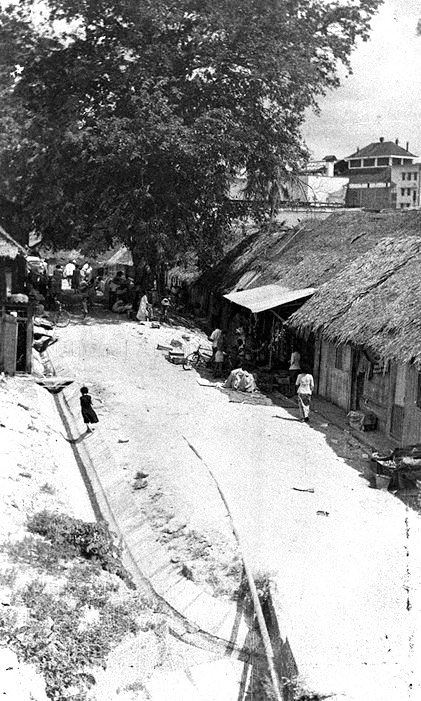 Wooden shacks were constructed indiscriminately along Alexandra Canal, a tributory of the Singapore River. 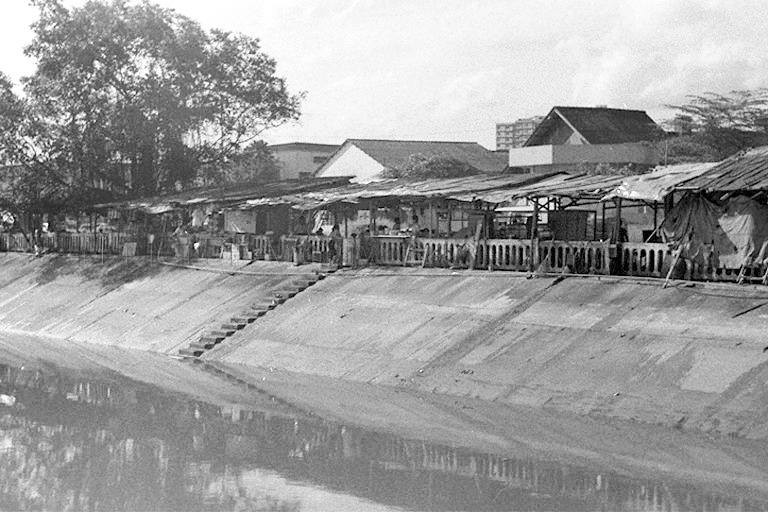 Member of Legislative Assembly for Delta, Mdm Chan Choy Siong opens the “Alexandra Canal Widening Project” on 19 September, 1963. 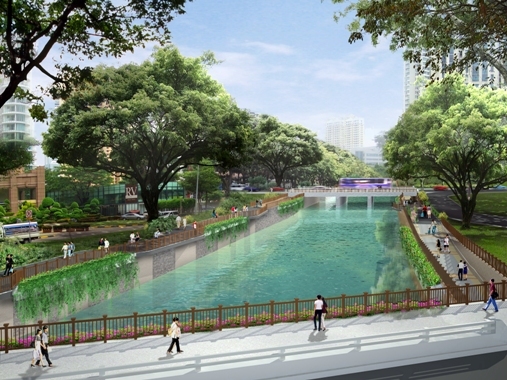 The 250m stretch of Alexandra Canal between Zion Road and Kim Seng Road will also be transformed into a scenic waterway with recreational spaces. 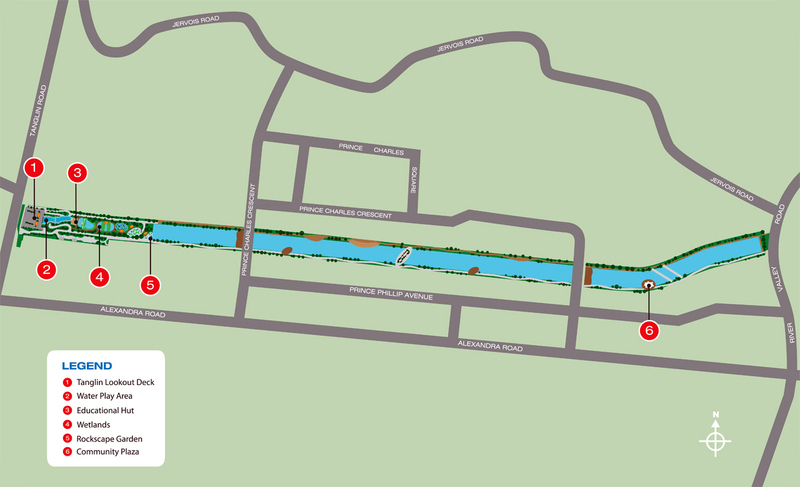 As part of PUB’s drainage improvement programme, a stretch of the Alexandra Canal between Zion Road and Kim Seng Road will undergo reconstruction. The 250m stretch will be widened and deepened from the original 27m-by-3m trapezoidal drain into a 28m-by-5.7m U-shaped drain. The improved drainage capacity at this stretch of the Alexandra Canal will help alleviate flooding at the nearby low-lying areas such as the junction of Alexandra Road and Lower Delta Road, and the area between Jervois Road and Prince Charles Crescent. To accommodate the expansion of the Alexandra Canal, the Zion Road Bridge and the Kim Seng Road Bridge overcrossing the waterway will also be reconstructed. Temporary bridges will be constructed to maintain traffic flow during the project period. 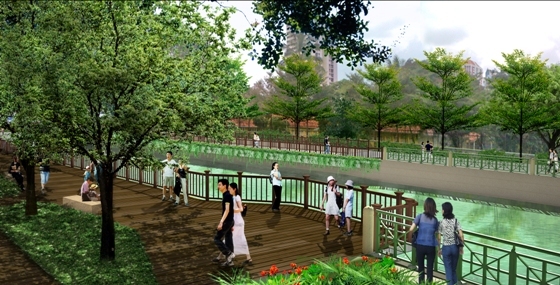 In addition, PUB will construct three pedestrian underpasses, one across Zion Road and two across Kim Seng Road, to provide safe and easy access for pedestrians to cross over to the connecting Singapore River promenade. As part of the project, Alexandra Canal will be transformed into a scenic recreational space incorporating PUB’s Active, Beautiful, Clean Waters (ABC Waters) design elements. 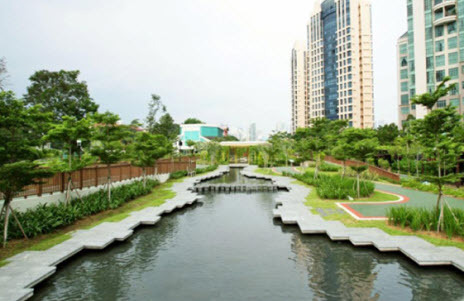 The transformation of the waterway will bring a softer, more natural landscape to the busy urban setting. A rain garden will be incorporated along the rejuvenated canal to help treat rainwater runoff from the promenade so cleaner water flows into the canal. In addition, four cantilever viewing decks will be constructed together with landscaping along the embankment, allowing visitors to enjoy views of the waterway. During the planning stage of the project, PUB sought input from the grassroots groups, to ensure that the project addresses the community needs and enhances the living environment of the area. The above photo was taken on September 16, 2014 and posted it to my Facebook timeline. Please click on the photos to enlarge the images. As I stood at the fence outside the Delta East School, I gazed at the 60-year-old school building where I attended my primary school education 58 years ago in 1956. 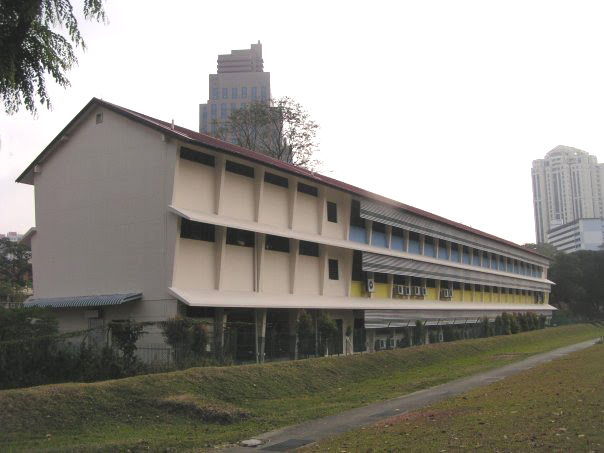 I studied in this school in Primary I in 1956 and left in 1961 after I completed the Primary School Leaving Examination (PSLE), the same year as the Bukit Ho Swee fire on 25 May, 1961. The Delta East School is due to be demolished. The whole area has been covered with tarpaulin, a protective covering of canvas or other waterproof material. On the right of the photo was the bulldozer below the tree at the school field. In a matter of months, the building would disappear. Once I leave the school, I do not carry the school building along with me. Only my happy schoolday memories to inspire me. The building belongs to state land and it is the discretion of the relevant governmental authorities in consultation of the National Heritage Board of Singapore to decide what to do with utilisation of the land in land-scarce Singapore. UNESCO is guided by the 1972 Convention Concerning the Protection of the World Cultural and Natural Heritage which seeks to encourage state party members to identify, protect and preserve natural and cultural sites around the world that have Outstanding Universal Value. 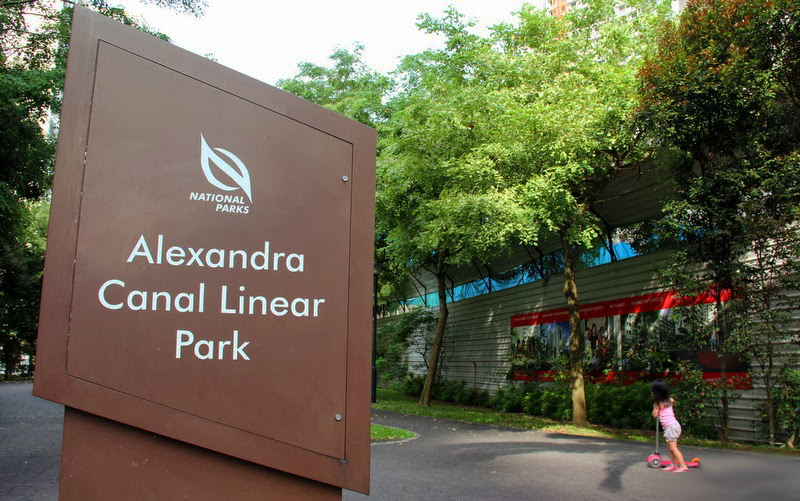 Singapore ratified the convention on 19 June 2012 and as the 190th State Party to do so, is committed to studying worthy sites for preservation within its wider policies. The Preservation of Sites and Monuments is jointly coordinating Singapore’s involvement in UNESCO with the Ministry of Culture, Community and Youth and the National Parks Board. Personally speaking, I believe in non-attachment as all conditioned things are impermanent. I am not a sentimental guy to romanticise anything which need to develop or build for the benefit of the future generations. 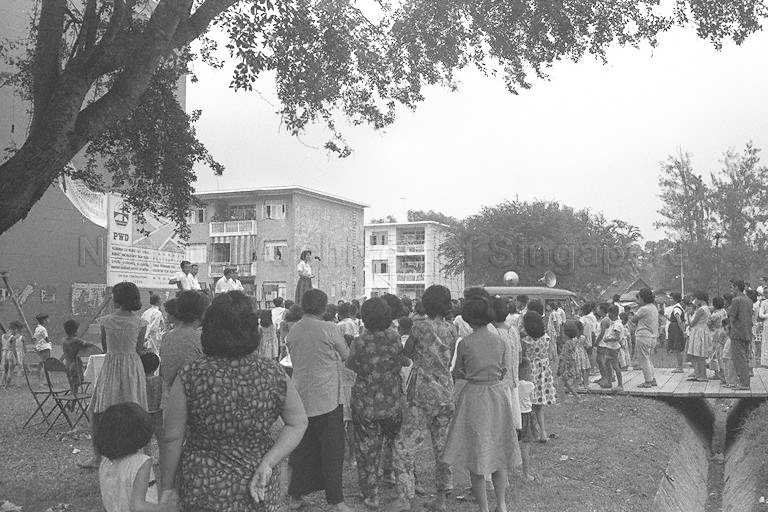 Maybe I learned from the experiences of the Bukit Ho Swee fire as a child. However, the fond nostalgic schooldays memories of Delta East School would be posted on this blog for my schoolmates to share. 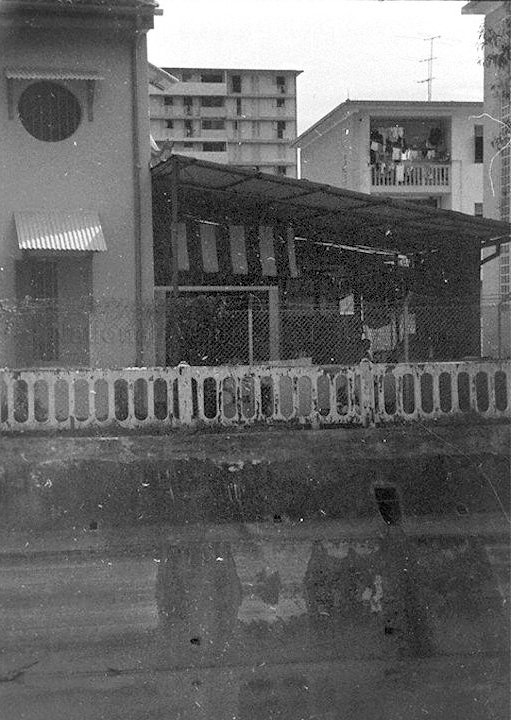 This is a photo of the back of the school taken many years ago to juxtapose the same building, same location. 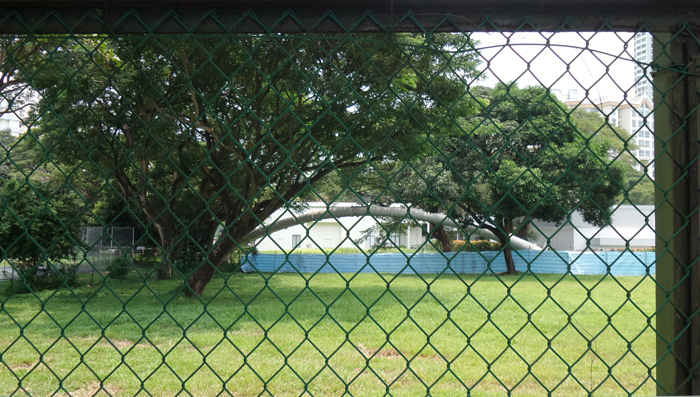 The century-old “kiow ku kio” viewed through the fence currently. 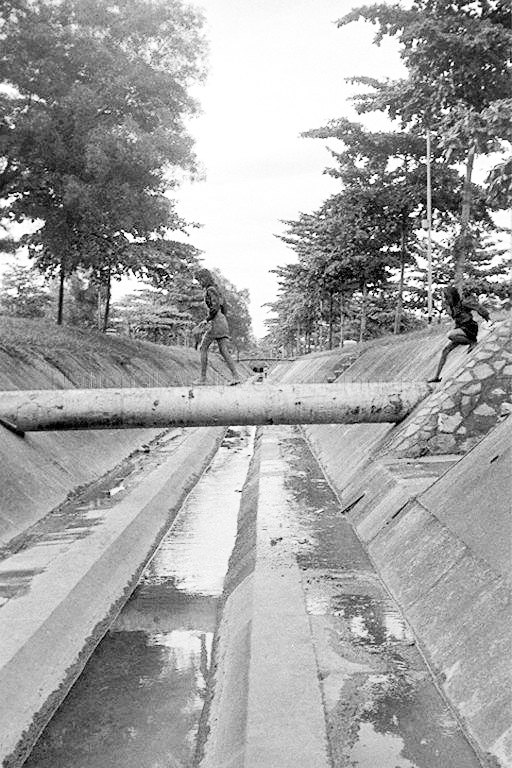 The “kiow ku kio” (crocked bridge) at the back of Delta East School, near former Havelock School (now the Boys’ Brigade HQ) are actually the hugh water pipelines which are connected from the waterworks in Johore to Singapore as supply of fresh water directly to Singapore. 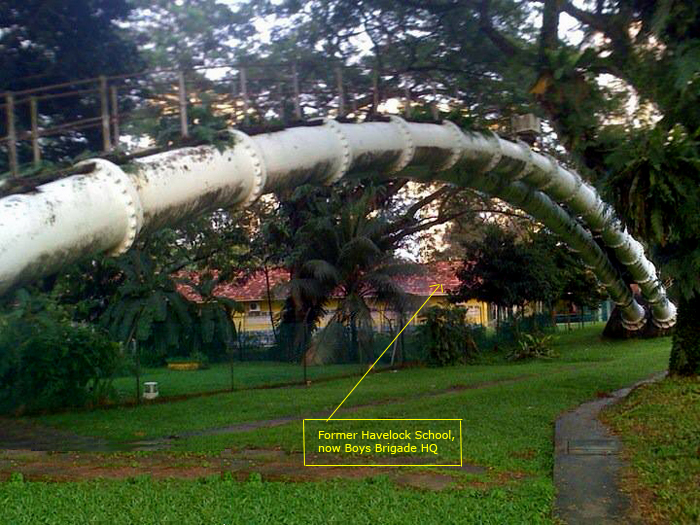 Why was there a curved bend of the water pipelines as shown in the above photo? I was curious and asked an old-timer Bukit Ho Swee friend, Mr Tay Ah Chuan. 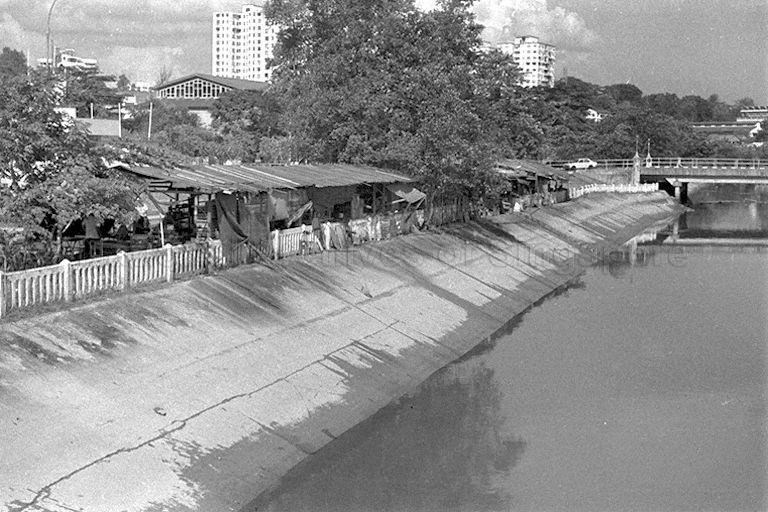 He told me that in the early days, a river was running from Singapore River to a sago factory at Bukit Ho Swee to use a traditional mode of transport by junks or twakows on this route. As the boats were fixed with sails of a certain height, the water pipes at this location were constructed as a “crocked bridge” to allow the boats to pass through the route. 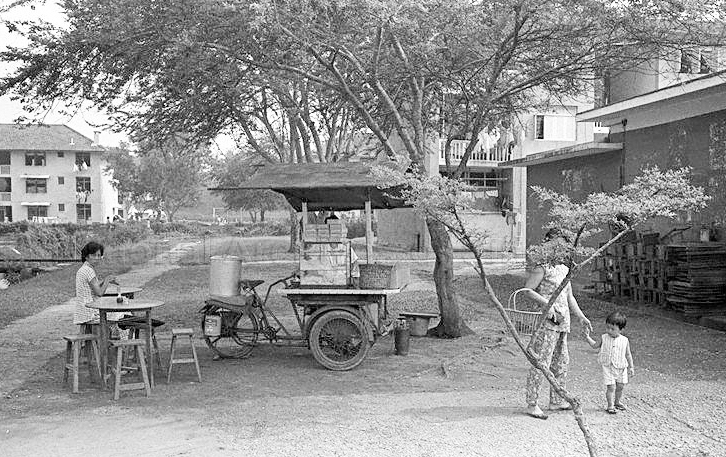 The scanned photostated photos taken during the year-end school holiday excursion in 1960 when I was in Primary 5 at Delta Primary School. Unfortunately I have lost the original photos and was unable to contact my former classmates. 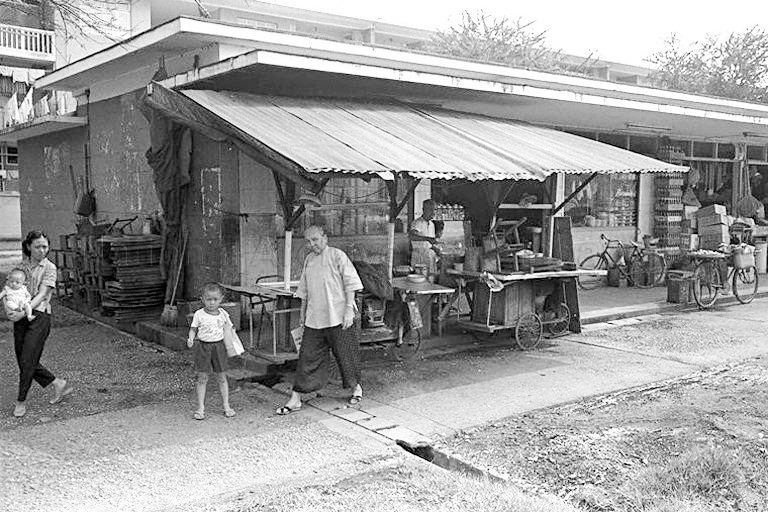 The form teacher was Mr Foo Chee Kai who once lived in a bungalow at Jervois Road. My former classmates were Ajit Kumar, Lim Soon Hai, Chua Soon Wee, Jaswant Singh, Lim Siak Kiu, Lim Cheng Wah, Soh Cheow Poh, and many others whose names I could not remember. 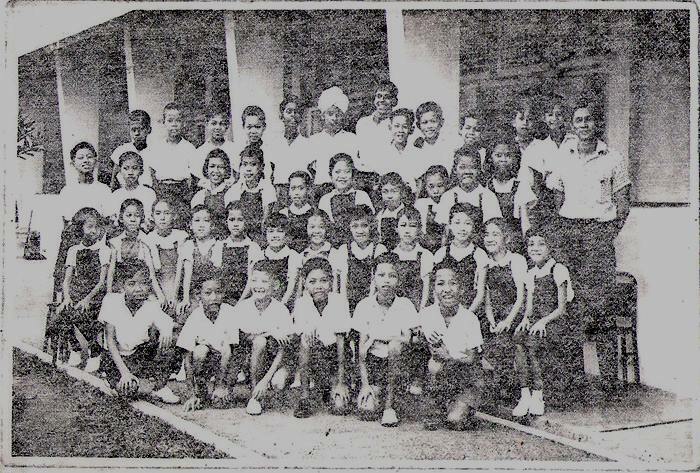 Seah Kok Thim (squatted first row, third from right) in the class group photo. 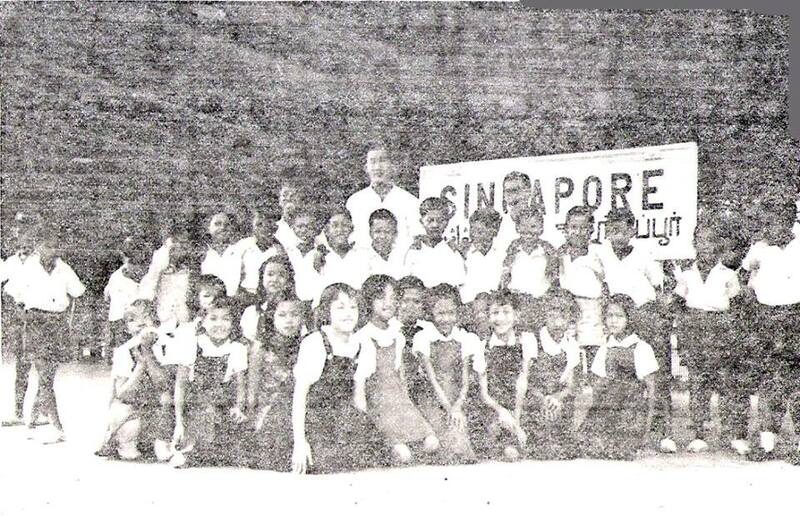 There’s also a photo of another class taken at the former Tanjong Pagar Railway Station. Another place during the excursion was the Botanic Gardens where I watched the monkeys to be fed with bananas offered by us. I remember that my mother woke early that day to cook rice with my favorite black sauce prawns which I brought along a tiffin carrier for lunch during the excursion. 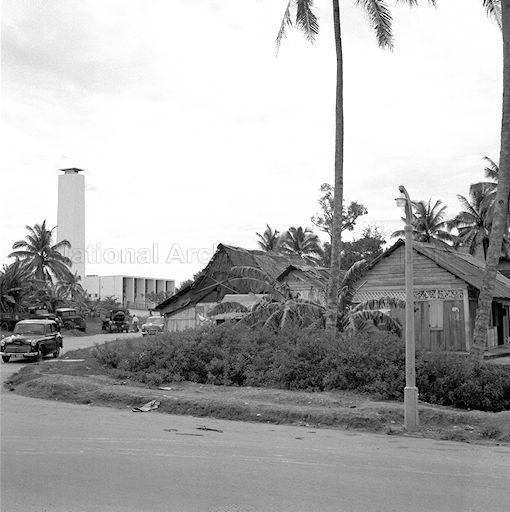 I was an active and playful boy and staying at the Bukit Ho Swee kampong before the fire in 1961. 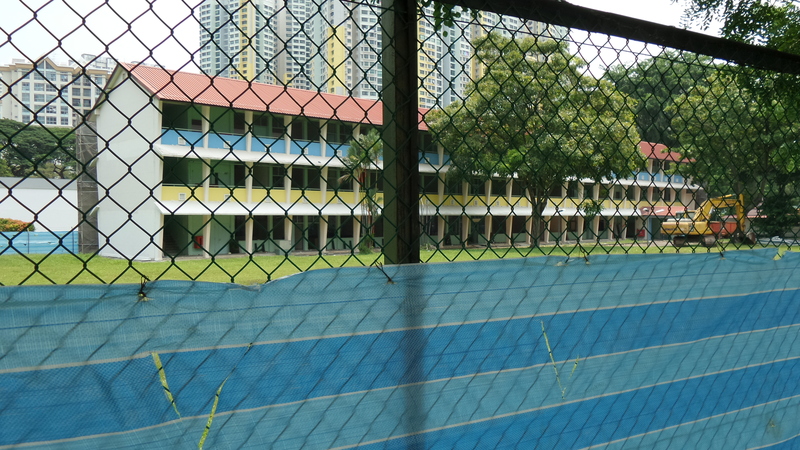 It was indeed my fond nostalgic memories in school during my carefree kampong days with lots of fun. That’s me circle in the photos. Please watch the “Project Neighbourhood” video at YouTube and click the back button to return to the blog after watching the video. 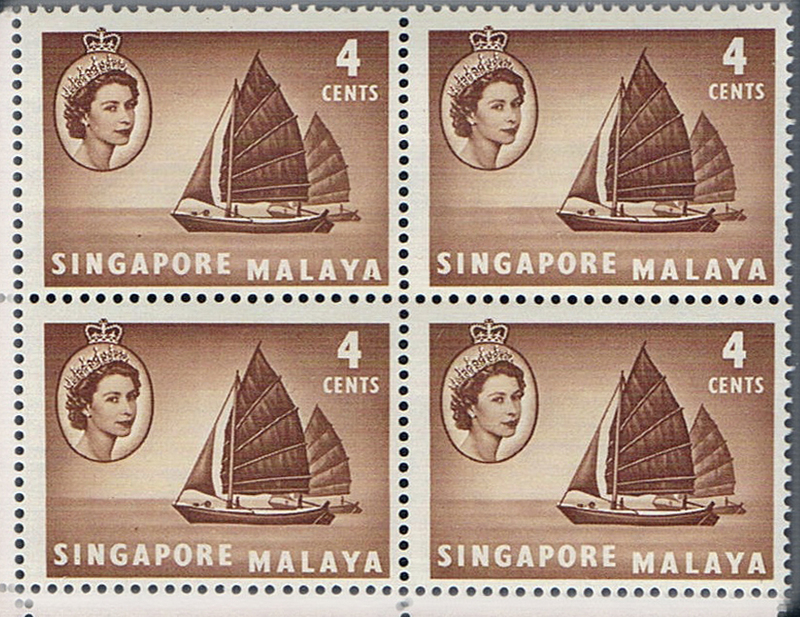 These photos with courtesy of NewspaperSG of the National Library Board. 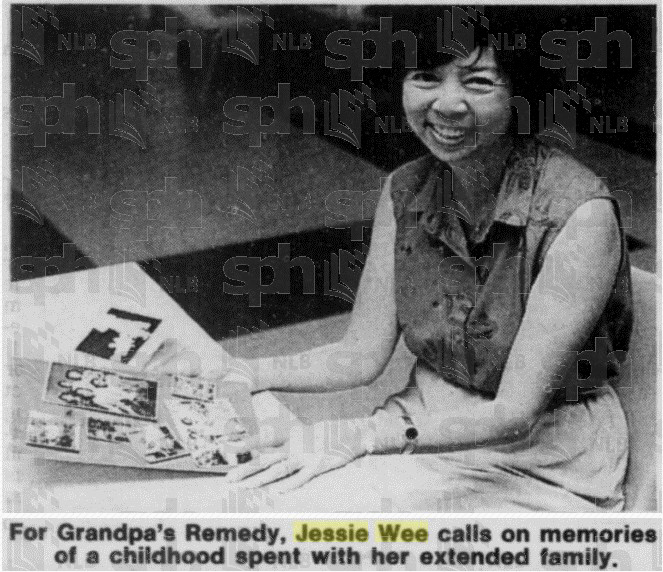 Ms Jessie Wee was my favorite English Language teacher at Delta East School and will never forget her. She is a kind and soft-spoken lady who inspired and influenced my interest in the subject. 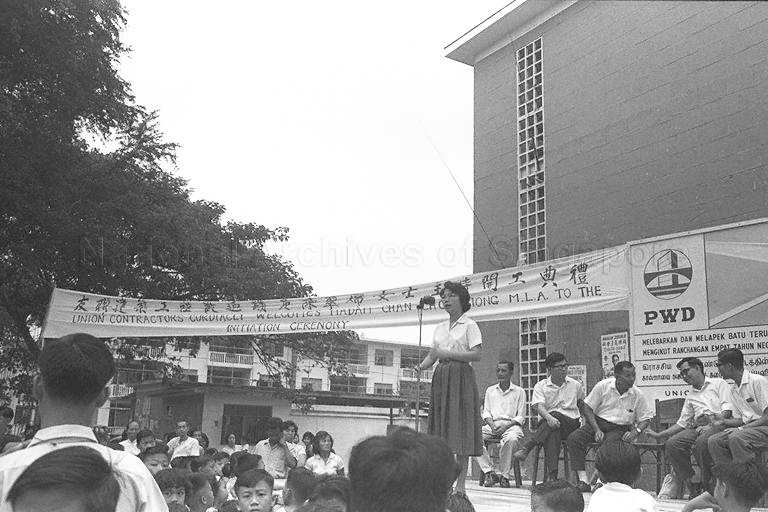 During the school concert in 1960, Ms Jessie Wee directed the play, wrote the script and composed the music. I had the honor to be selected by her to be the actor in the play. It was by coincidence that she was my neighbor at Bukit Ho Swee kampong before the fire. In 1950, she was married in Peranakan tradition and customs. I remember how I watched Ms Wee and her husband in their wedding car driving off from their marital home at Beo Lane and at the boot of the car tied with the “Just Married” poster and a string of used condensed milk cans with lots of noise to attract the attention of the Bukit Ho Swee neighbors. I was curious something new to me because it was the first time I had seen this kampong wedding in style. When she went to Maxwell Hill in Malaysia for honeymoon with her husband, she was very kind and thoughtful to send me a colorful postcard. 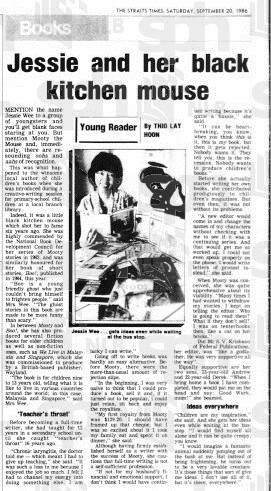 Excerpt from The Straits Times, September 20, 1986 in the “Young Reader” column by Thio Lay Hoon. (Source: The Straits Times. Photo credit: NewspaperSG). Mention the name Jessie Wee to a group of youngsters and you’ll get blank faces staring at you. But mention Mooty the Mouse and, immediately, there are resounding oohs and aahs of recognition. This was what happened to the winsome local author of children’s books when she was introduced during a creative-writing session for primary school children at a local branch library. Indeed, it was a black kitchen mouse which shot her to fame six years ago. She was highly commended by the National Book Development Council for her series of Mooty Stories in 1982, and was similarly honoured for her book of short stories, Boo!, published in 1984. In between Mooty and Boo!, she has also produced several fiction books for older children as well as non-fiction ones, such as We live in Malaysia and Singapore, which she was commissioned to produce a British-based publisher, Wayland. “The book is for children 9 to 13 years old, telling what it is like to live in various countries around the world; in this case, Malaysia and Singapore,” said Mrs Wee. Before becoming a full-time writer, she had taught for 12 years in a secondary school until she caught “teacher’s throat” 16 years ago. Going off to write books was hardly an easy alternative. Before Mooty, there were the more-than-usual amount of rejection slips. “In the beginning, I was very naive to think that I could produce a book, sell it and, if it turned out to be popular, I could just relax, sit back and enjoy the royalties. My first royalty from Mooty was $129.20. I should have framed up that cheque, but I was so excited about it I took my family out and spent it on dinner, ” she said. Although having firmly established herself as a writer with the success of Mooty, she cautions that full-time writing is not a self-sufficient profession. “If not for my husband’s financial and emotional support, I don’t think I would have continued writing because it’s quite a hassle,” she said. Before she actually started writing her own books, she contribute prodigiously to children’s magazines. But even then, it was not without its problems. “A new editor would come in and change the names of my characters without checking with me to see if it was a continuing series. And that would get me so worked up, I would not even speak properly on the phone. I would write letters of protest instead,” she said. Equally supportive are her two sons, 23-year-old Andrew and 22-year-old Derek. “When I bring home a book I have completed, they would pat me on the head and say: Good Work, Mum!” she beamed. “Children are my inspiration,” she said. And she gets her ideas even while waiting at the bus-stop. “I would find myself all alone and it can be quite creepy, you know. 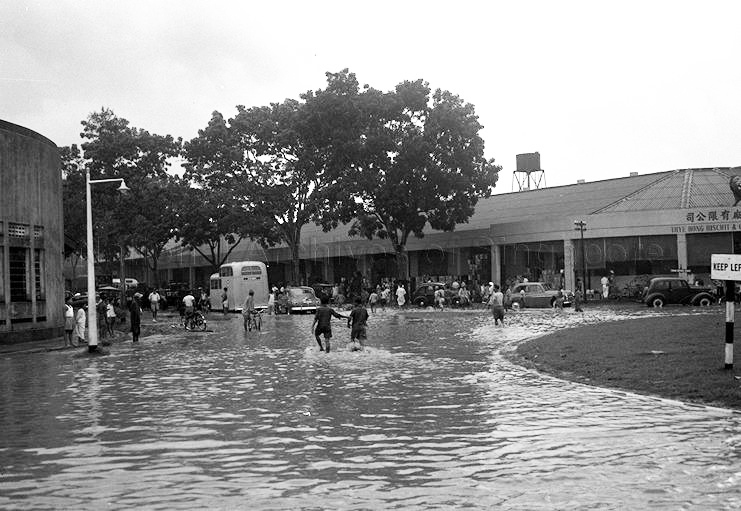 The former Great World Amusement Park (大世界) was within walking distance from the Delta East School in the 1960s. Great World Park was closed in 1978. 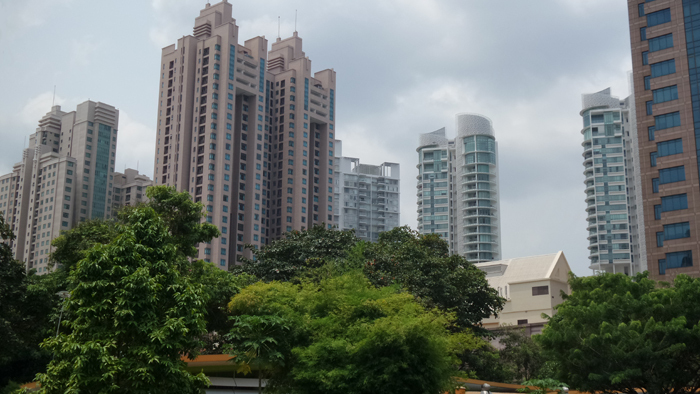 Great World City (世界城), a 6-storey shopping mall, 18-storey office building and 35-storey serviced apartment building complex on Singapore River, was opened in 1997. The shopping mall part of the mixed development sits on the site where the Great World Amusement Park used to be. The photo of Great World City is shown above.